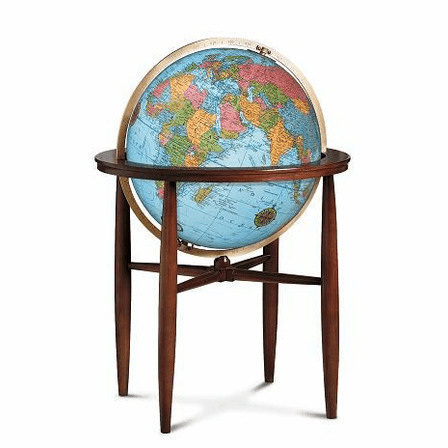 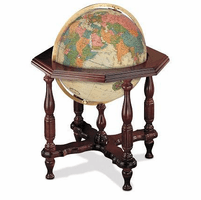 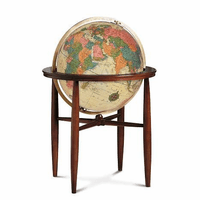 A wide, 4-legged walnut-finished floor stand holds a 20' diameter globe with blue ocean finish. 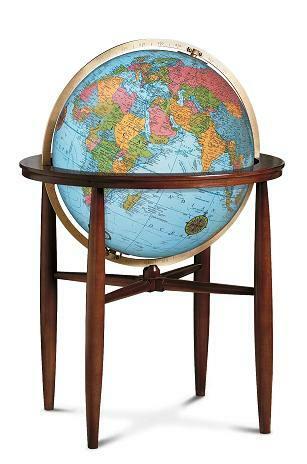 The hand-cut, hand-applied map is stunning against the blue background, and is illuminated from a light control within the globe. 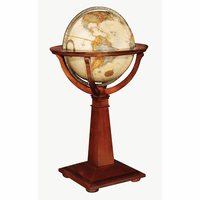 The globe is held in place by a fully-engraved aluminum meridian in a brushed brass color, and is set into a band of walnut around the circumference of the globe. The full measurement is 26' x 26' x 37', and will be a spectacular gift for a very special person!